MCC’s new Governing Board met face to face for the second time March 3 through 7 at DaySpring Retreat Center near Sarasota Florida. This meeting was characterized by a sense of confidence in this new structure, and excitement about MCC’s “maturing” organizationally. Strategic Review and planning: The Governing Board had a lively discussion about MCC’s future, and established a short term Strategic planning process and committee, including members of the Senior Leadership Team (SLT) and members at Large to bring back a draft to our August joint meeting with the SLT. Open Questions: we challenged ourselves to a deeper engagement with each other, and MCCer’s on improving global participation (we are thrilled about our newly appointed International Task Force! ); young adult participation at all levels of MCC; and growing our organization in all ways, including financially. Finances and Budget development: We passed the remainder of the 2011 budget, did a lot of work on financial policy and investment policy. The board is pleased with the success, even in this economy, of achieving financial health and stability. We approved an operating reserve, a million dollar minimum balance in our investments, and established the 2011 Audit Committee. All financial policies are now housed in our new Policy Handbook, with will be online soon. We met with the Chair of the Board of Pensions, U.S., Devon Avery, and clarified the relationship between our two boards, the lines of accountability and reporting, and were excited to hear of their progress as well. Governing Board members took turns offering worship and prayer, and Rev. Candace Shultis preached for us on Transfiguration Sunday. We invited MCCer’s Ann Vassilaros and Fran Solitro to dine with us on Sunday evening, and formally thanked them for their generous contributions to MCC, with a tribute in our minutes. Click here to learn more about the MCC Governing Board and the work that they are doing. The MCC Conference for People of African Descent – Our Friends, and Allies at the Fairmont Hotel, Washington, DC -may 19-21, 2011 click here to register today! Click here to find out everything you have ever wanted to know about the 2011 MCC PAD Conference and MORE! Rev. Elder Nancy Wilson and the Governing Board of MCC would like to invite you to join them on March 31st for a webinar presentation on the State of MCC. The Governing Board is anxious to share with the members and friends of MCC what has been happening in the months since General Conference. These have been busy times, and we would like to ensure that we are communicating with each of you directly regarding many interesting and exciting activities. Since the use of webinars is new to MCC, if this method of sharing is useful and successful, we will consider adding further webinar’s. They will serve as a means for the Governing Board to present and receive information. To that end, we hope you will join us in support of this new method of information sharing. 2. To listen and view the power point presentation please use the following information. With our online meeting software, you have the option to listen to the conversation and view the meeting presentation without having to dial in to a conference phone line. Please be sure that you have speakers connected to your computer or that you are using headphones to listen in and check to be sure that the volume on your computer is turned up. To join the meeting, click on the link below or copy and paste the link into the address bar of your web browser. Additionally, please do not use the link prior to the scheduled webinar as it will not appear to be a valid webpage. Please Note: The webinar will be in presentation mode. All lines will be muted. The presentation will be recorded and uploading at a later time to the MCC website. If you have questions during the webinar please send an email . Look forward you to joining us! Peace and blessing in this season of Lent on our way to Easter joy! Cost of the retreat is $275 US which includes 2 nights lodging (double occupancy with a private bath and wireless internet) and six meals. The $275 rate is good until May 5, 2011. After May 5 through July 5, 2011 cost for the retreat will be $325. Absolute deadline for all registrations is July 5, 2011. Click here to register. Thanks to a generous donation from MCC Austin, the OFLD will be able to offer a limited number of scholarships to help with the cost of registration for the retreat. Please contact Rev. 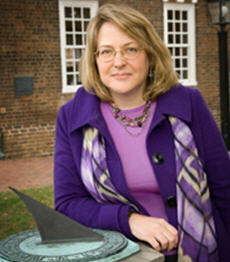 Dr. Mona West () to inquire about scholarship applications. https://www.dianabutlerbass.com/. To find out more about the Duncan Retreat Center go to www.duncancenter.org.